Ted Cruz is a very bad, low-energy Trump campaign volunteer. In late September, Texas Sen. Ted Cruz, whose messy on-again, off-again relationship with Donald Trump has been the romantic highlight of this campaign season, finally bit the bullet and endorsed the man who suggested his father had a hand in the Kennedy assassination. The honeymoon doesn’t seem to be going particularly well. Last night, Cruz paid a visit to the Tarrant County, Texas, Republican headquarters where G.J. McCarthy of the Dallas Morning News found him making calls on the behalf of … no one in particular. 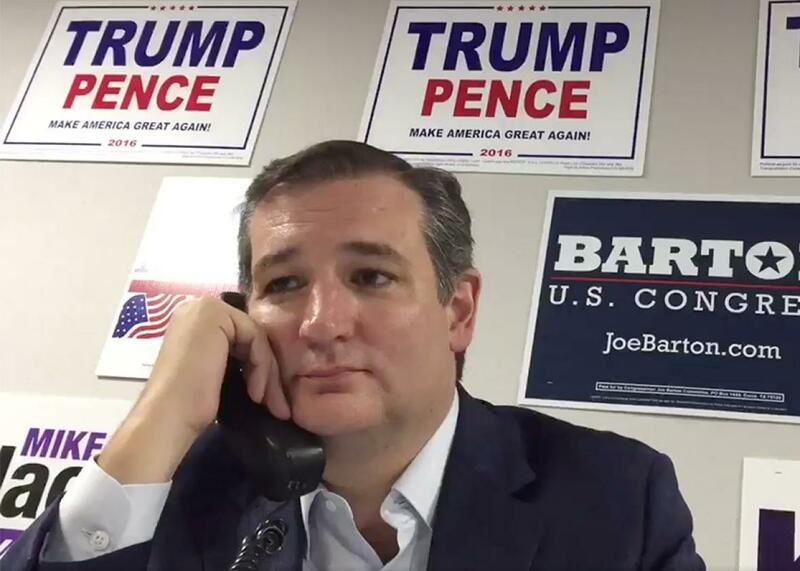 Hi, this is Ted Cruz calling. I was calling to encourage you to come out and vote on Election Day. This election is critical for the direction of our country, and I urge you to come out to support freedom, the Constitution and the Bill of Rights. You can vote by absentee ballot. If you need help getting an application for an absentee ballot, the Republican Party of Texas can help you with that. Or you can vote in person. But I just wanted to encourage you to come out and vote. Thank you and God bless you. Where’s the passion, Ted? Put some pep in your step.